Fans of Mercury's famed Cougar automobile line will immediately recognize this baby… and be anxious to build it. 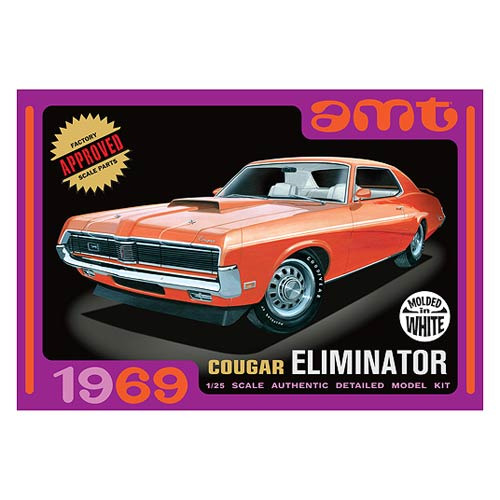 The 1:25 scale 1969 Mercury Cougar Eliminator White Model Kit is one sweet machine! Glue and paint required (Not Included). Ages 10 and up.